Krista Svalbonas’s artwork depicts the processing of distant spaces. Cut photographs taken in the cities she, or her parents, have called home are placed along the edges of each other. In her collages, rural buildings traverse the edges of glass wall skyscrapers and early modern high rises. These convergences recollect how one remembers and makes distinctions about their homes. Svalbonas received her MFA from SUNY New Paltz in Photography, Sculpture, and Design and her BFA from Syracuse University in Photography and Design. 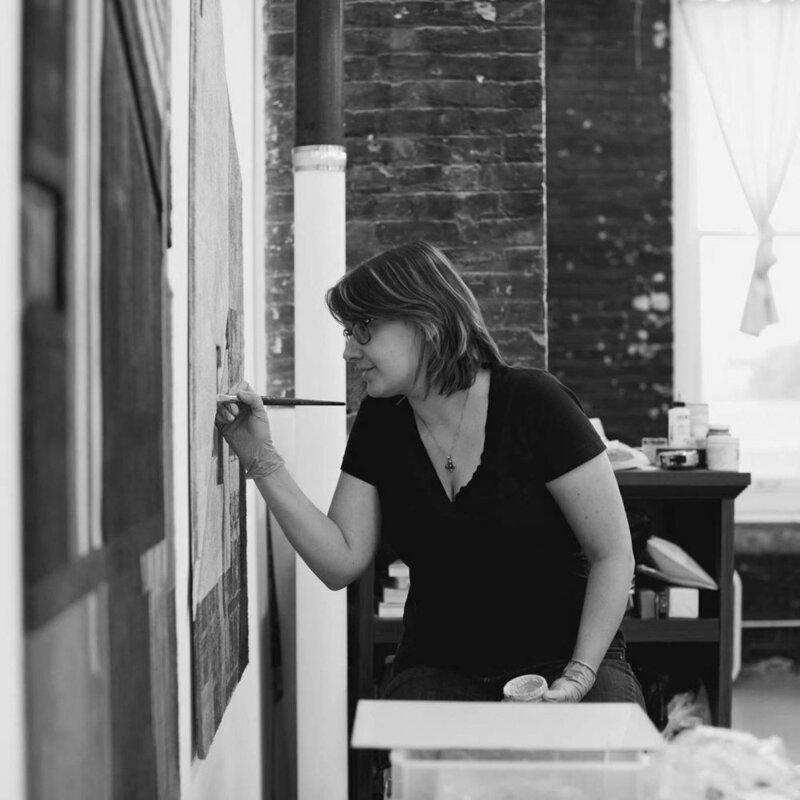 She has had solo shows at Samuel Dorsky Museum of Art, Spartanburg Museum of Art, and Matteawan Gallery. Selected group exhibitions include Zhou B Art Center, Matthew Rachman Gallery, Tiger Strikes Asteroid, and Cooper Union. "IN THE PRESENCE OF MEMORY 22"
"IN THE PRESENCE OF MEMORY 17"
"IN THE PRESENCE OF MEMORY 23"